With the many payasam I seem to have ended making, I might as well had planned for a Payasam Variety as theme. I didn’t strike me at all, only while I was editing the pictures did it strike me of a missed BM theme. These days anything I do, is done with the BM in mind. So much so that even Amma has started thinking that way. The involvement that my entire family shows, sometimes makes me wonder if I am blogging alone or with my whole family. As there have been times when I had made something and kids loved it, the next moment the question comes is if I had taken pictures of that dish. I sheepishly have to confess that I have indeed taken. Even the boys feel so happy that I have taken pictures. 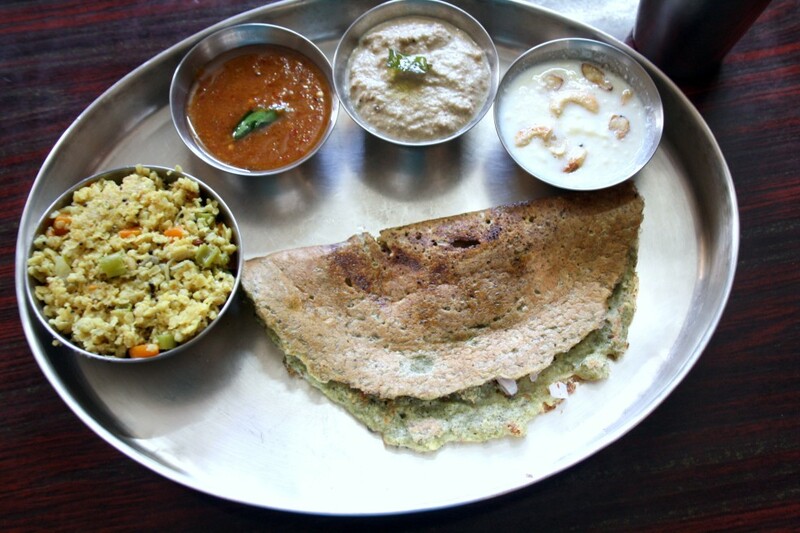 Coming to the recipe for today, Paneer Payasam came into picture when I was making Andhra Breakfast Thali. I asked Amma if she remembers sweets to be served during breakfast. She said we normally on regular occasion don’t serve it. That usually happens when we have relatives or guests coming over. So I said let’s assume we have guests and work on creating a thali that would suit that situation. The other payasams she had suggested were all already blogged. She suddenly remembered this Paneer Payasam. And you know I am game for Paneer anytime anyway. Paneer Payasam was made in very little quantity, just enough for serving two of us. Grate the paneer and add to the milk and simmer for 10 mins. Add sugar and continue to boil for couple more minutes. Finally add the saffron strands along with milk. You can also grind the paneer and add the paste to the boiled milk and cook. 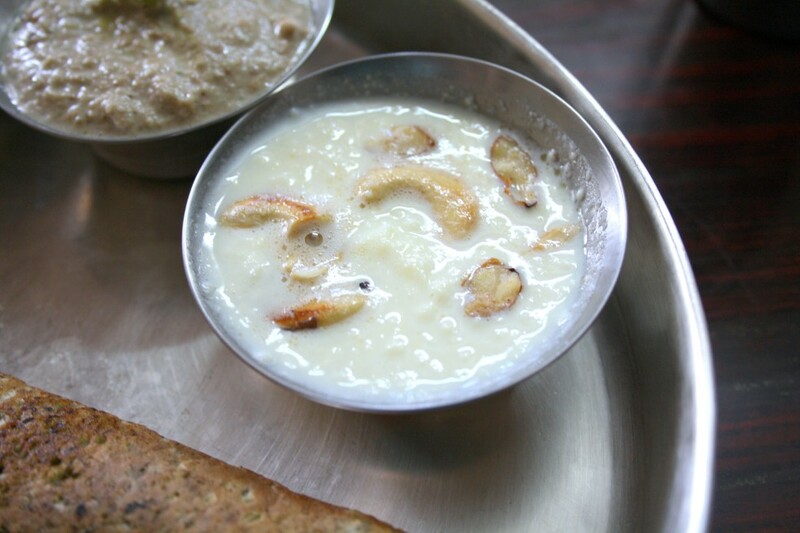 I prepared once this payasam with plenty of nuts,super rich kheer na. Good one Valli…never heard of paneer payasam, that's something new to me. Good to know that you have the support of your entire family. And yes, even I get that question "Have you taken the pics yet, can we touch the food?" I had made a similar kind last week to use up ricotta, it was easy and tasty. Rich and tasty payasam Valli. 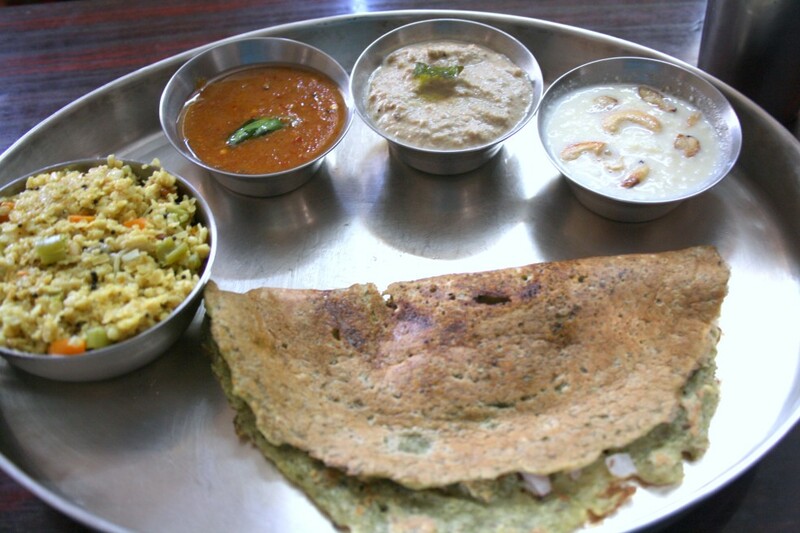 Thali looks inviting. Wow nice idea is adding Paneer to payasam… Will try it sonn…. I've to try this to see how it tastes. Sounds delicious. Even my husband keeps asking whether I have offered neivedyam to camera. Ou families get adjusted to our blogging fancies, I guess. I too love this kheer Valli. As you always keep saying that you love to collect dosa recipes, same is with me regarding kheers. Have never thought of making payasam with paneer. Looks yummy andi'm sure your niece and nephew will love it too! Super tempting delicious payasam…mouthwatering recipe. Quick n easy to make kheer valli!!! i too must give a big hug to my hubby and my kiddo, whenever i make something new, they too ask whether the camera session is done!!!!! Its a totally new dish to me. The only paneer sweets I know are rasgolla and rasmalai! The payasam looks good! the payasam looks lovely ..n a real quick one! That is indeed a mouthwatering Payasam! I never once thought about making payasam with Paneer. How nice of your mom to suggest it! Seen this on blogs before but never attempted to prepare.This is an easy breezy dessert! !